In 1961 I.M. 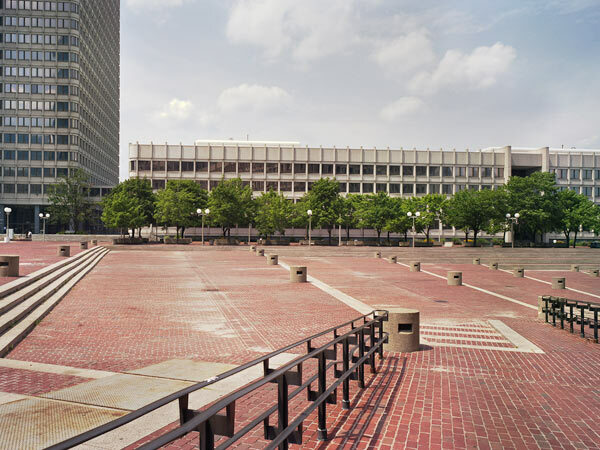 Pei & Associates devised the Government Center Urban Renewal Plan, which sought to revitalize the central city’s West End neighborhood and Scollay Square, a derelict area near the harbor known for its cabarets and burlesque shows. 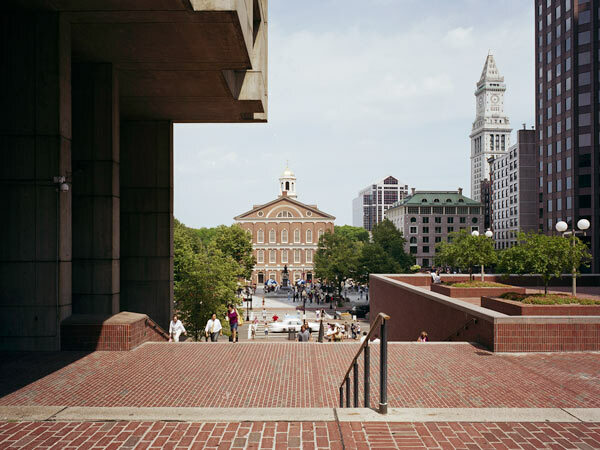 Pei’s 60-acre Government Center, constructed between 1963 and 1968, featured 30 buildings for federal, state, and municipal offices alongside commercial space, and introduced Modernism into historic Boston. 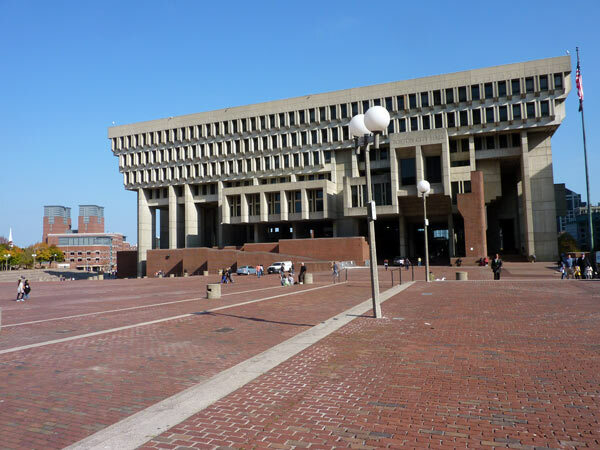 City Hall’s open, eight-acre plaza is the central focus of Government Center. 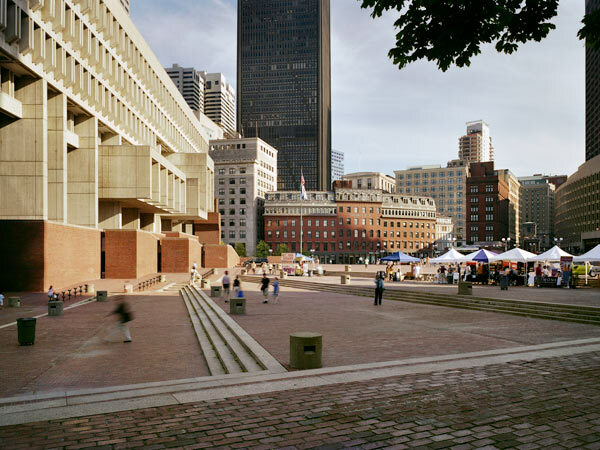 Designed by Pei and based upon the Piazza del Campo in Siena, Italy, the plaza is integrated with the Brutalist-style, pre-cast concrete structure designed by architects Kallmann McKinnell & Knowles. 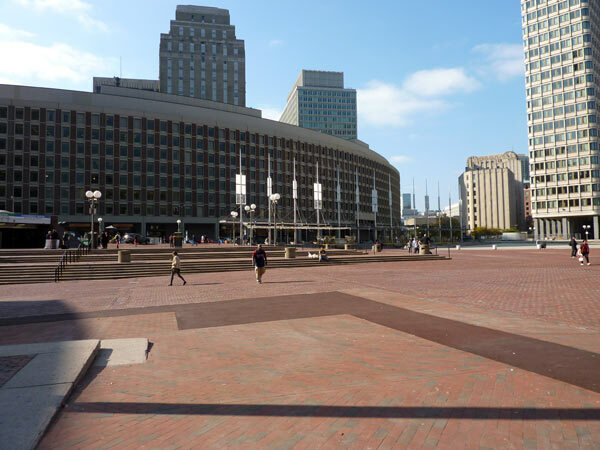 Pei’s master plan stipulated the building’s height, location, and architectural program as well as the irregular shape and form of the surrounding plaza. 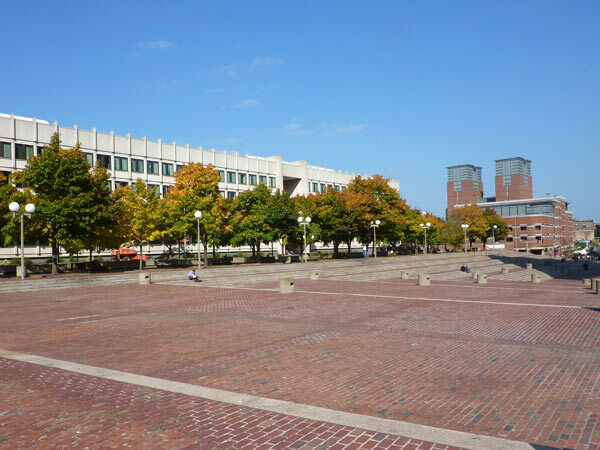 The plaza operates as a multi-level forecourt paved in brick with concrete accents, intended to recall Beacon Hill’s historic brick streetscapes. 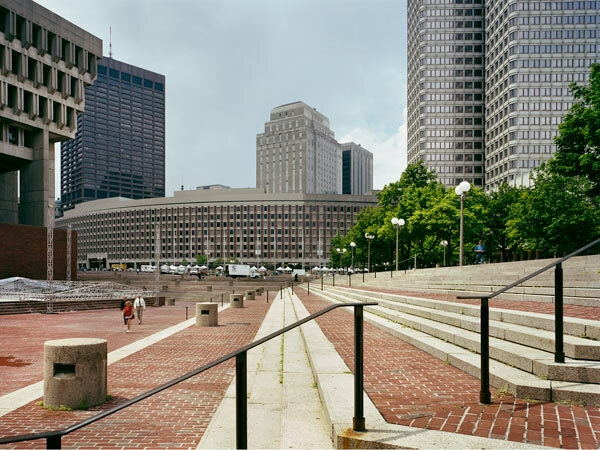 While the central expanse appears flat, it gently slopes down from east to west, with the northern half terraced and stepped to negotiate the twenty feet of grade change from Cambridge Street to Congress Street. 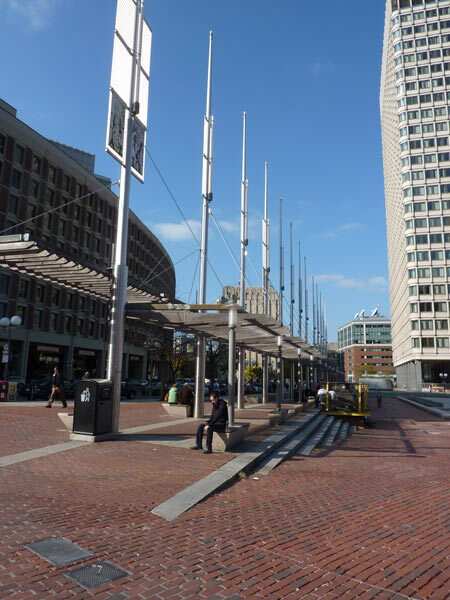 Concrete bollards line Cambridge Street, where metal bus shelters have been introduced. 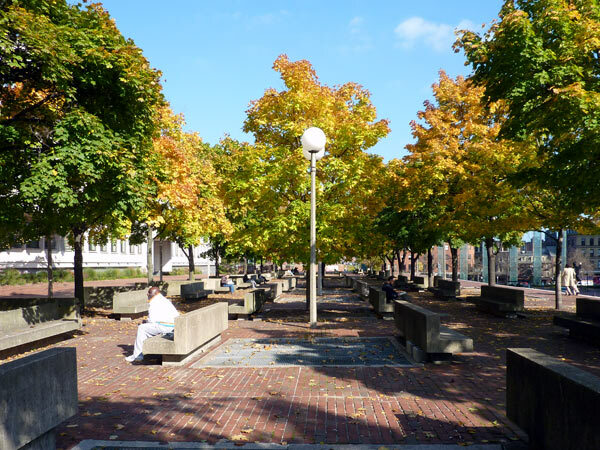 The plaza’s northern border is lined with a gridded bosque of maple trees which shade angular, concrete benches. A pie-shaped, sunken seating area with a large fountain in the northwest corner was originally part of the design but was paved over with concrete in 2006.